Spread the Love around NOLA this Valentine’s Day! Valentine's Day 2019 is around the corner. Looking for something fun to do with your little one? Here are 11 events happening this weekend through February 14th. Simone’s Market. 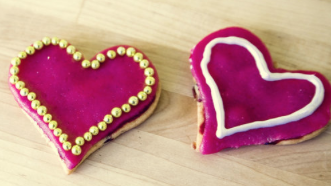 Visit Simone’s for a cookie decorating party in celebration of Valentine’s Day. Register by Friday, Feb. 8 at 3 pm. For more information or to register, click here. $5/person. 10 am-noon. Barnes and Noble, Metairie. 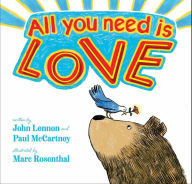 In this book, the beloved song "All You Need Is Love" comes vividly to life, showing that if we follow the music we will see there is indeed love all around us. Enjoy a cookie coloring activity, while supplies last. For more information, click here. 11 am. Little Bookworms. 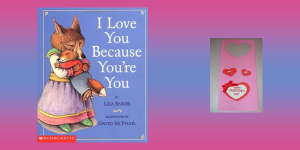 Enjoy a story time all about hearts and love as Little Bookworm reads their favorite Valentine's Day books. After the reading, enjoy crafting a special Valentine's Day cards for our loved ones. For more information, click here. 11 am-noon. Lafreniere Park. For animal lovers searching for new members to add to the family, hundreds of homeless animals will be searching for their forever homes. Admission is free to this mega pet event that will feature an Adopt-A-Thon with more than 40 shelter and rescue groups offering hundreds of adoptable pets. 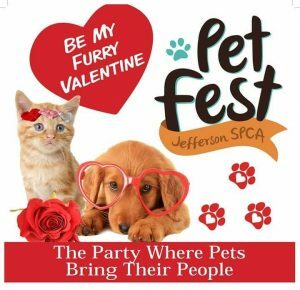 Attendees will also find a Pet Health Watch area, costume contest presented by Pet Krewe, raffle, Pet Marketplace, delicious local cuisine and live entertainment. For more information, click here. 10 am-4 pm. New Orleans JCC, Uptown. PJ Library Little Mensches Help with Hunger, takes place in partnership with Second Harvest. “PJ” kids and families will assemble family dinner kits for a local elementary school where most students are eligible for free or discounted breakfast and lunch at school, but may struggle to have enough for dinner at home. 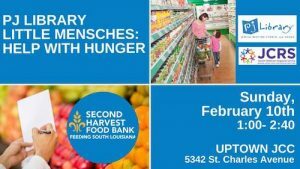 Second Harvest staff will explain how hunger affects New Orleans families. Each family will create a special souvenir project to help have an impact on hunger every day. For more information, contact Jennette at 504.215.8757 or email [email protected]. 1-2:40 pm. Little Bookworms. 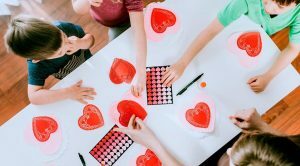 Join for a special Play Date where you will be learning about Valentine's Day and crafting your very own Valentine's Day cards for our loved ones. Admission is FREE! For more information, click here. 10:30-11:30 am. Jammy Jamboree: I Love You! East Bank Regional Library. Come in your pajamas and cuddle with your favorite stuffed animal as you listen to bedtime stories and songs and make a fun craft. Story time targeted for ages 3-5 years old. “I Love You” is the theme for this month. Come listen to “I Love You Because You’re You” and make a heart doorknob hanger. For more information, click here. 7-7:45 pm. Camp Bow Wow, Mid-City. Love is always in the air! 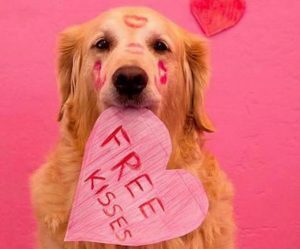 Bring your pup in their best attire to attend the Sweetheart dance and have them take a picture at the kissing booth. $5 cash donation requested. All proceeds will go to ARNO. For more information, click here. 8 am-noon. Wild Lotus Yoga, Uptown. 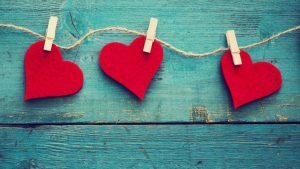 This workshop will explore the practice of being your own valentine first so you can spread more love to your family. Family yoga is the practice of connecting and loving each other every day of the year! For more information, click here. $20/family. Members receive 10% off. 4-4:15 pm. Nora Navra Library. 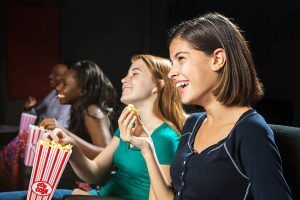 Hang with your pals and watch a movie on Palentine’s Day. Popcorn provided. For ages 12-17. For more information, click here. Free. 4-6 pm. Norman Mayer Library. 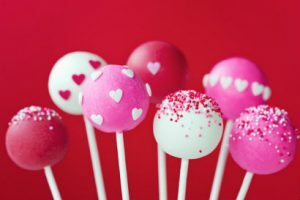 Celebrate Valentine’s Day by making, decorating and eating cake pops. For more information, click here. Free. 5-6 pm. Check out these adorable crafts you can create at home with your little one!